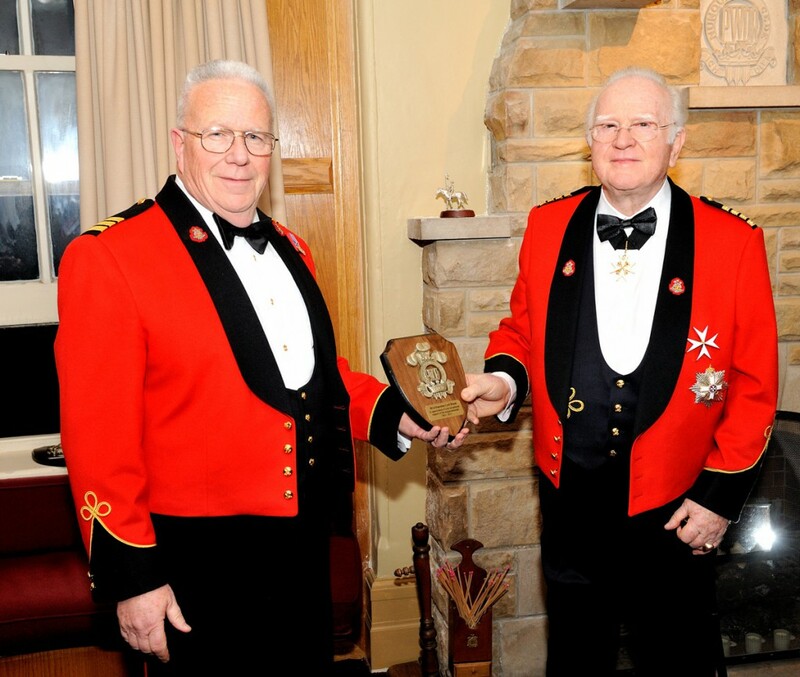 Sergeant Upton/ Master Warrant Officer Dean M. Yuile, RSM/ Lieutenant-Colonel James R. McKay. 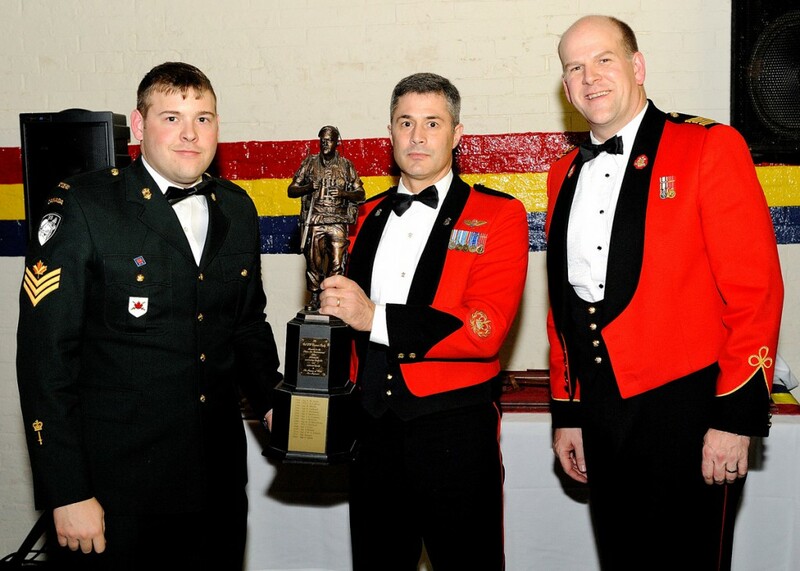 Sgt Upton received The Colonel D.W. Einarson Trophy awarded to the Senior Non-Commissioned Officer selected for Outstanding Leadership and Dedicated Loyalty. 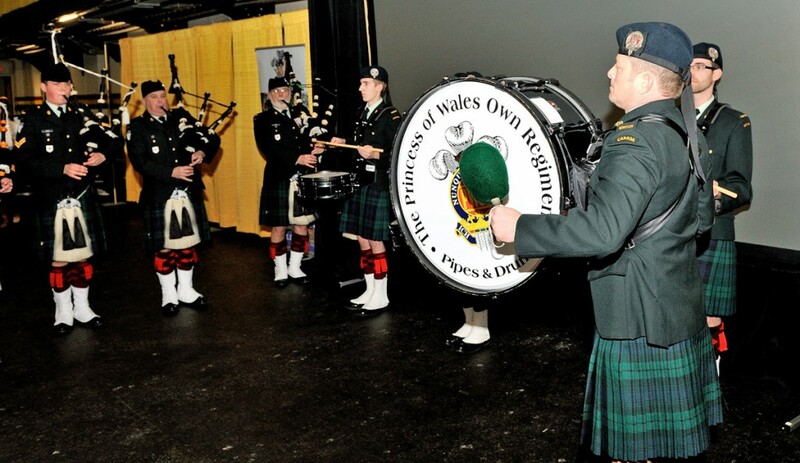 Princess of Wales’ Own Regiment Pipes and Drums. 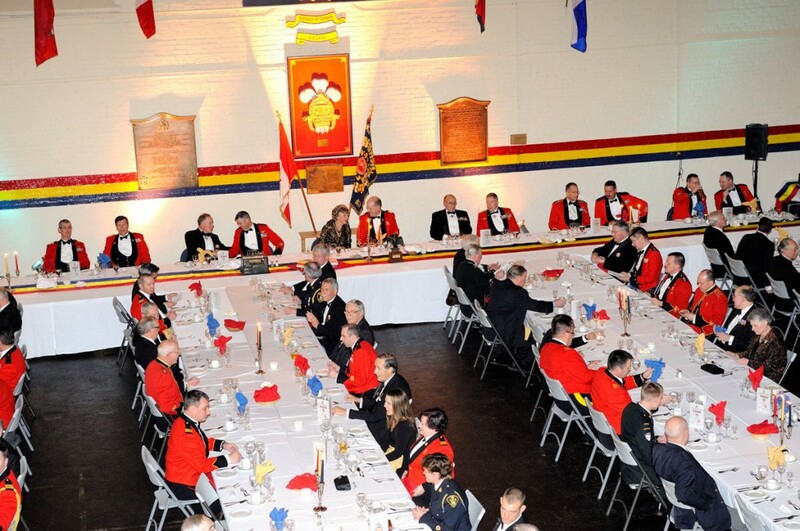 Head Table Conversations. 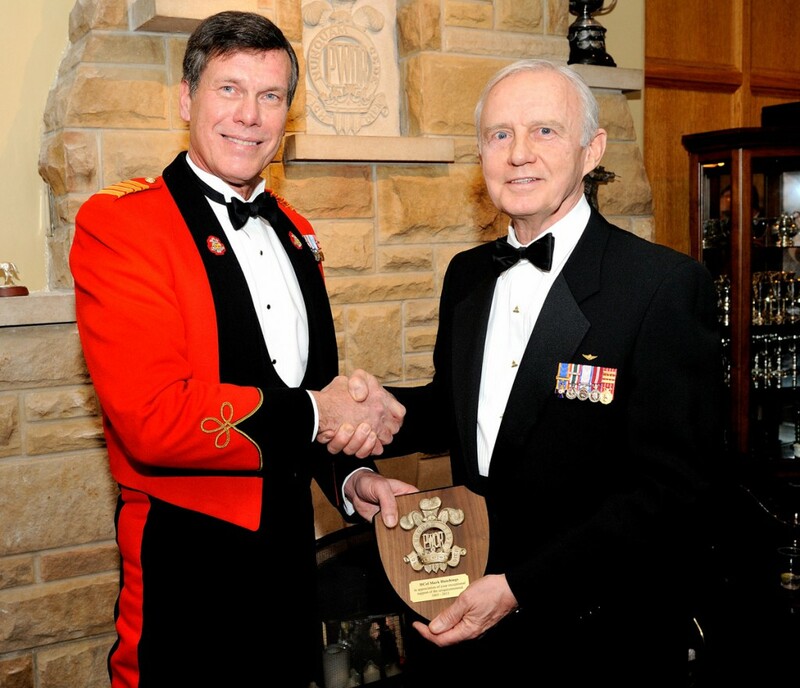 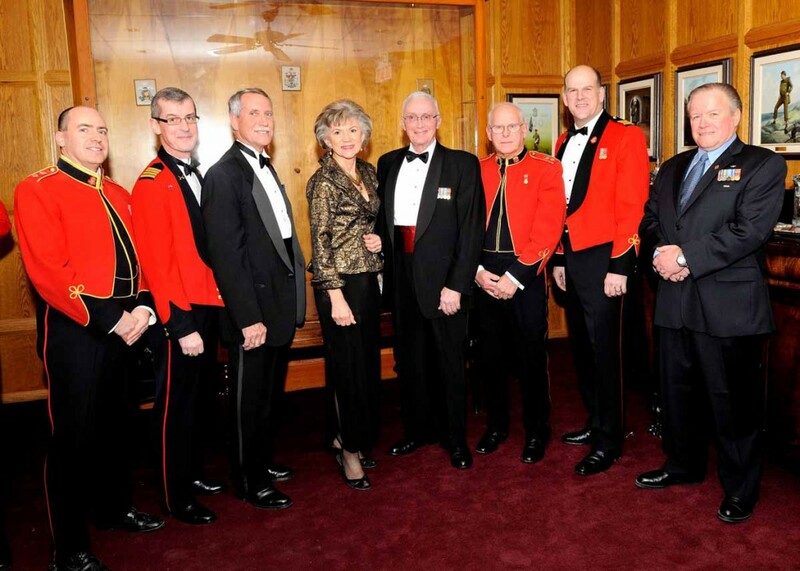 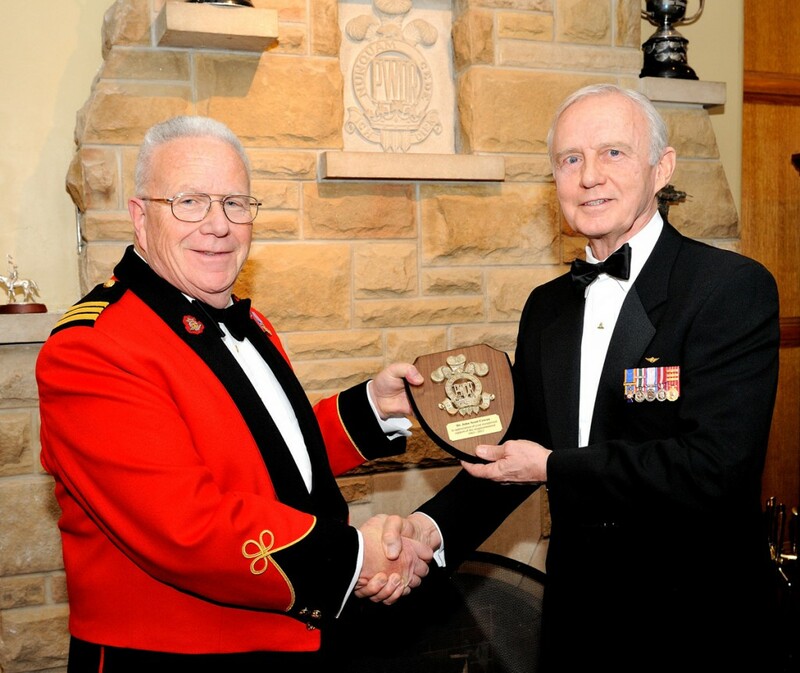 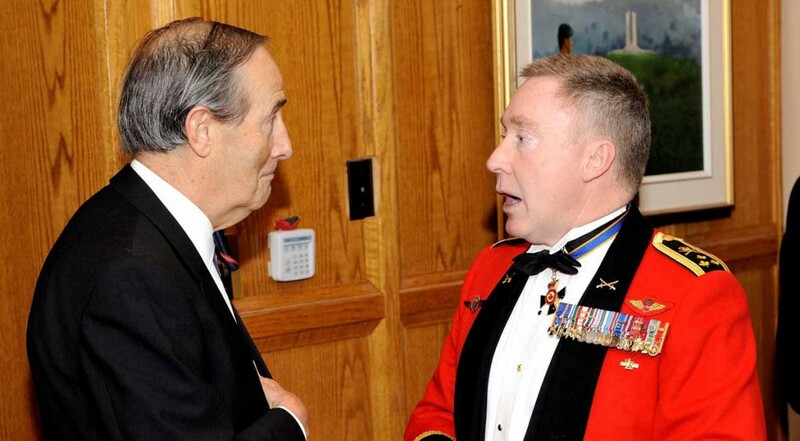 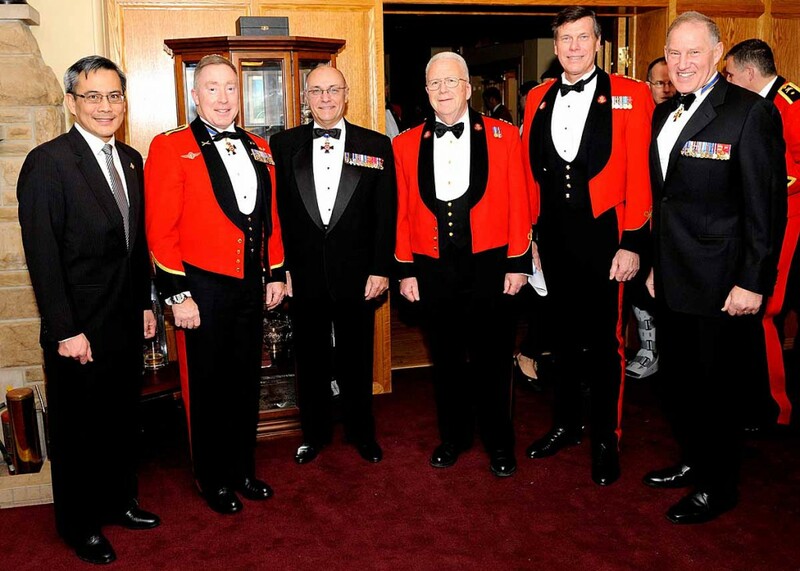 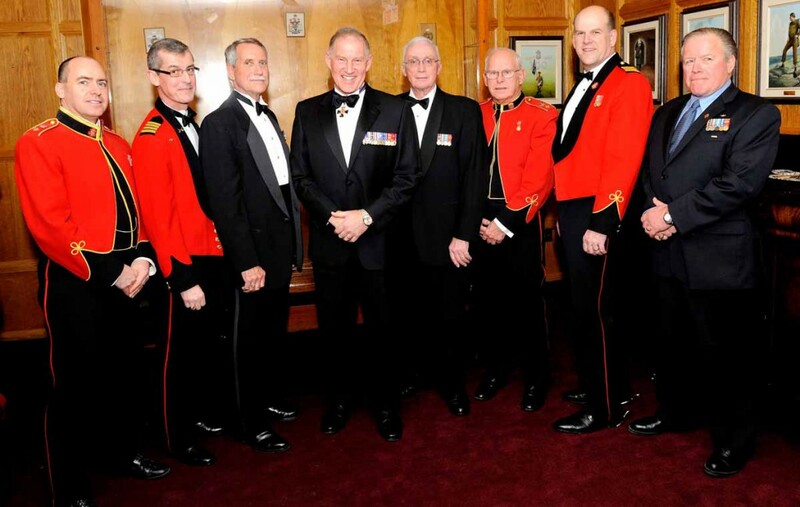 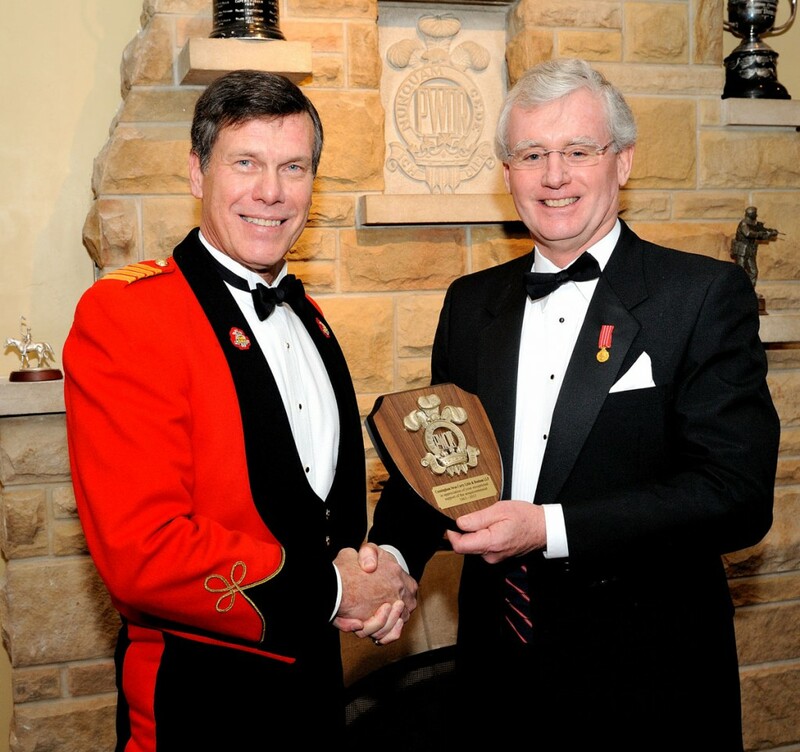 Colonel Howard G. Coombs, Commander, 33 Canadian Brigade Group and Honorary Colonel Mark Hutchings. 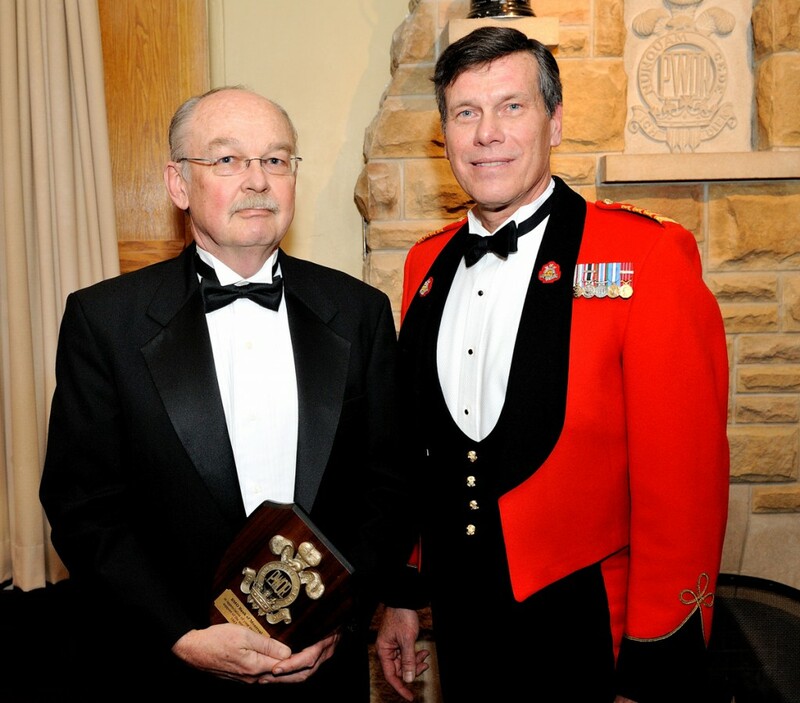 General Walter Natynczyk and Master Warrant Officer Dean M. Yuile, RSM. 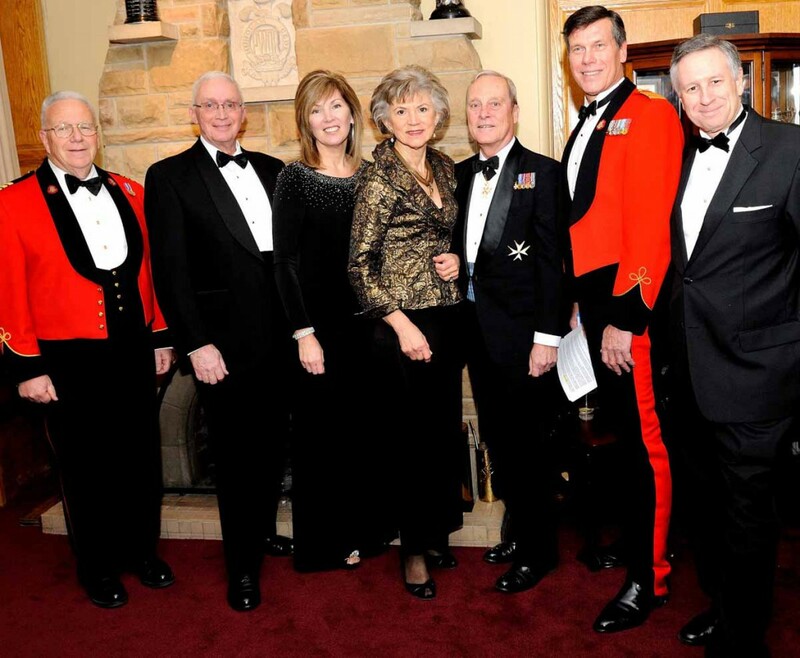 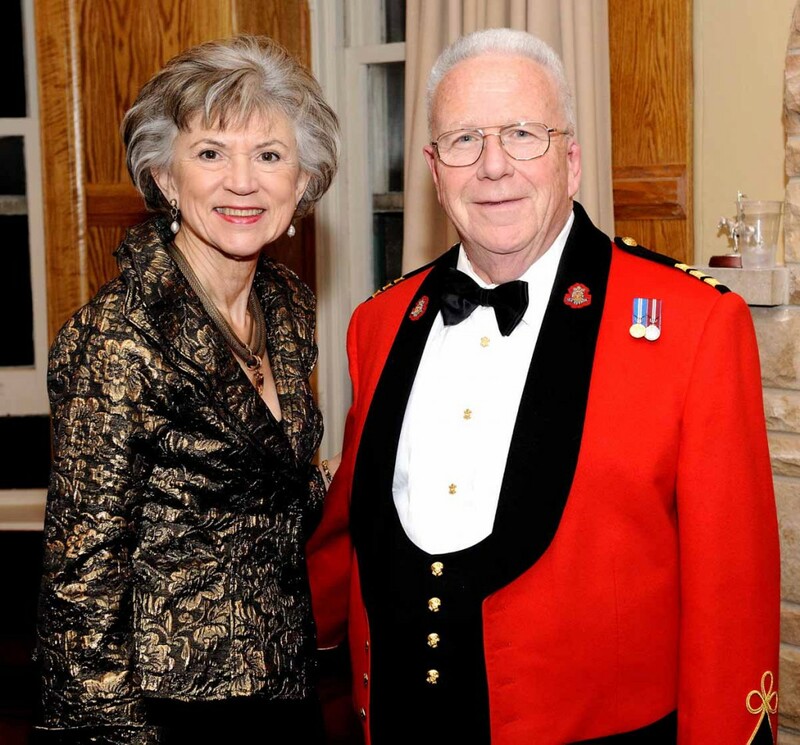 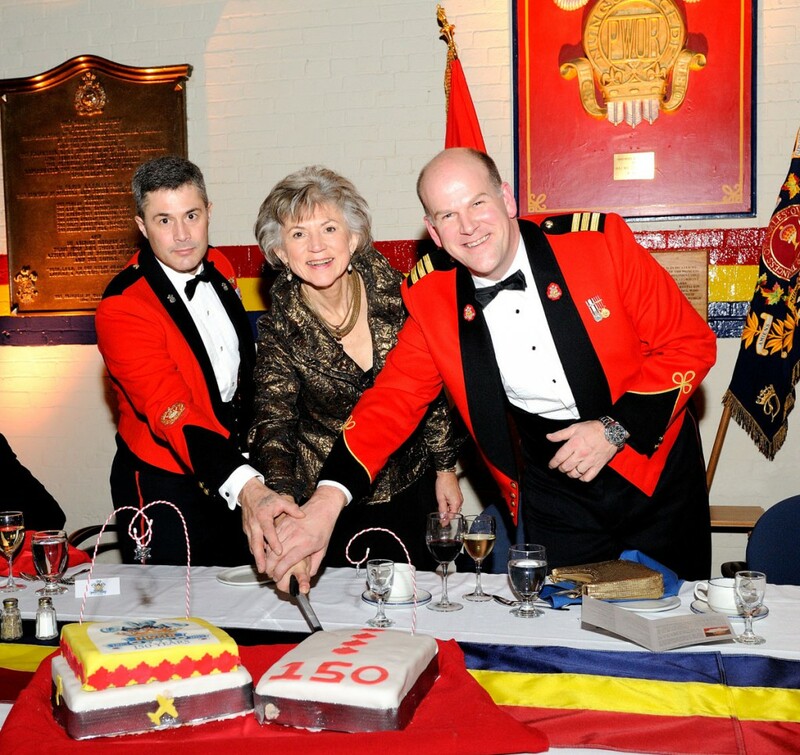 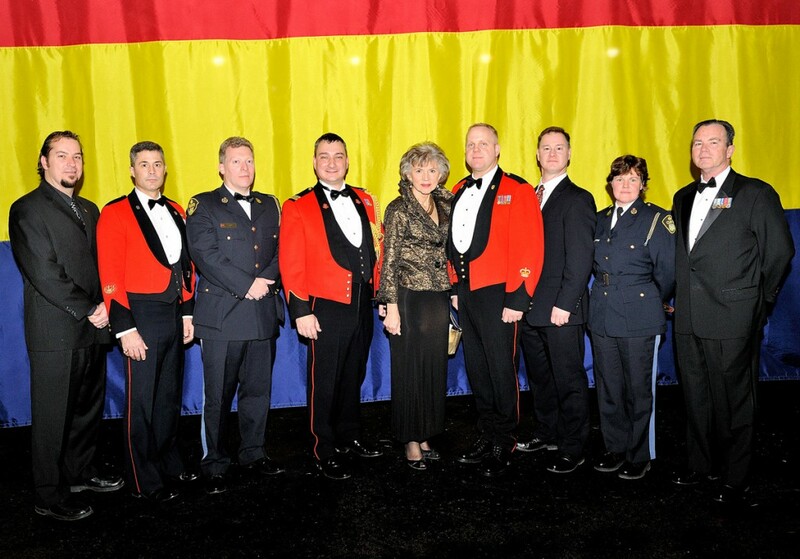 The Right Honourable Beverley McLachlin, P.C., Chief Justice of Canada and Lieutenant-Colonel James R. McKay. 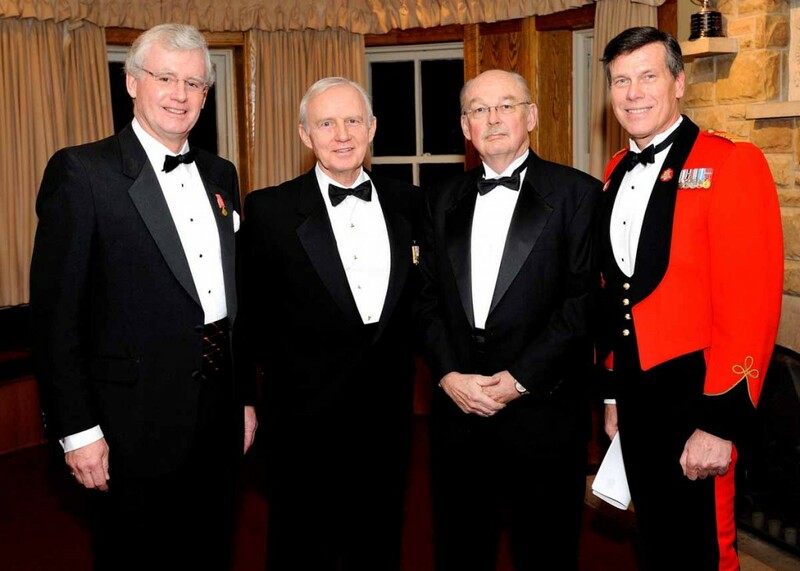 General (Ret) Ray Henault and Lieutenant General Peter Devlin, Commander of the Army. 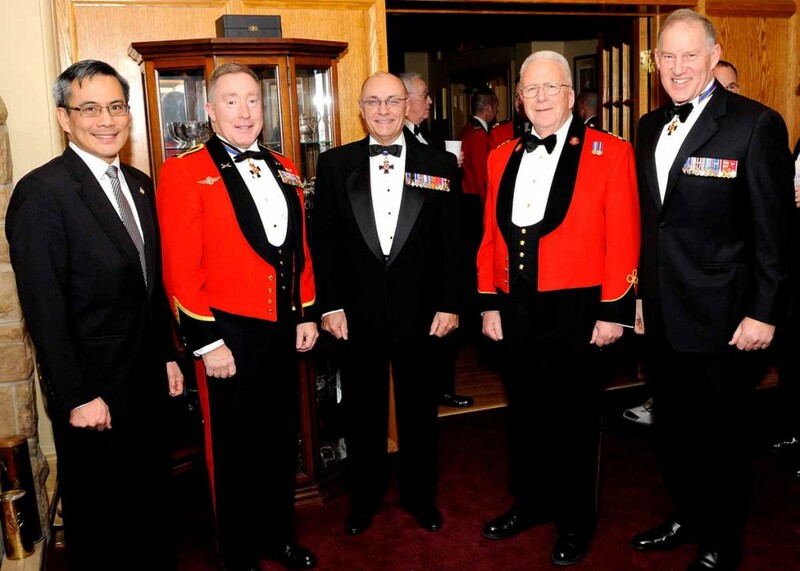 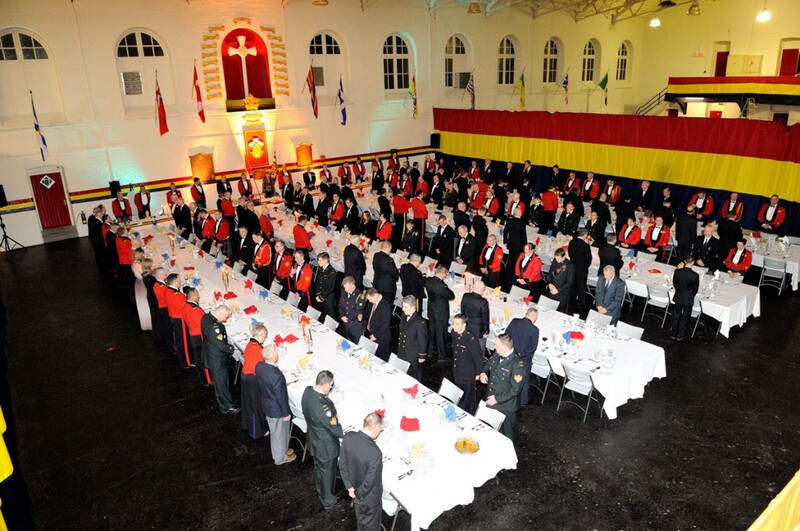 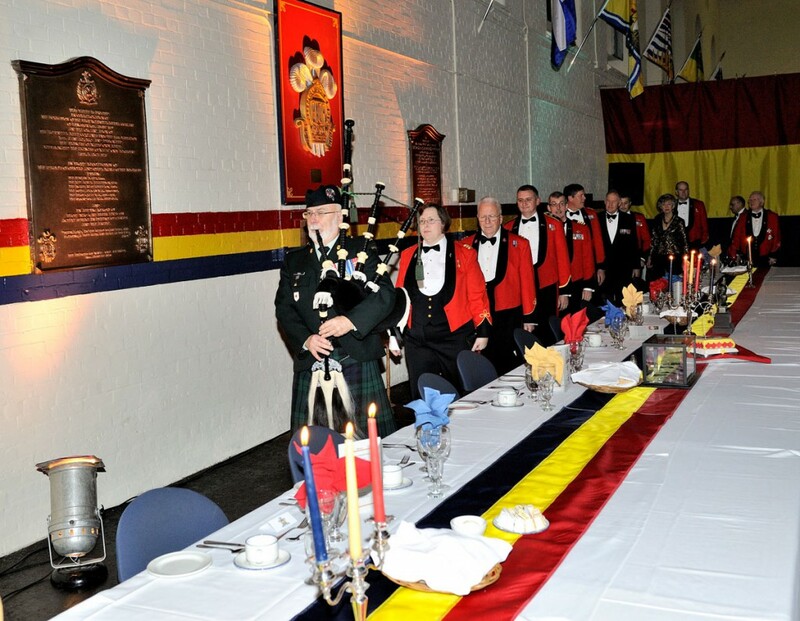 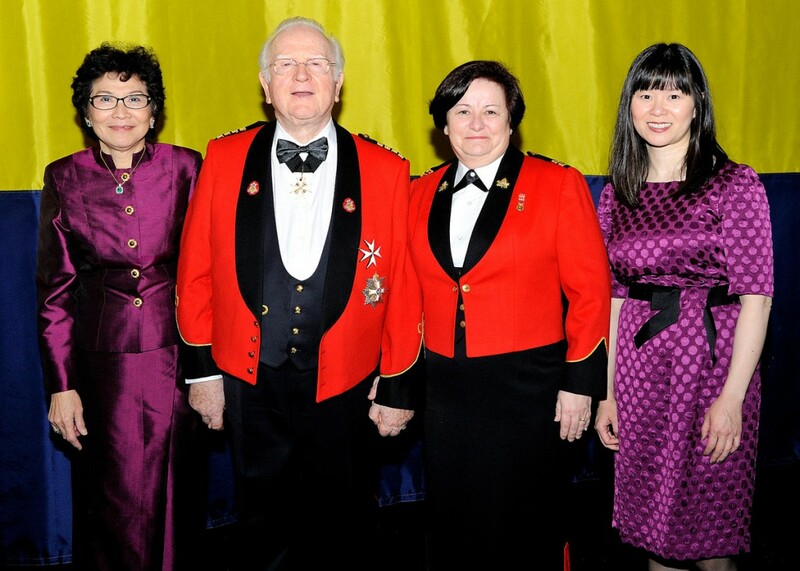 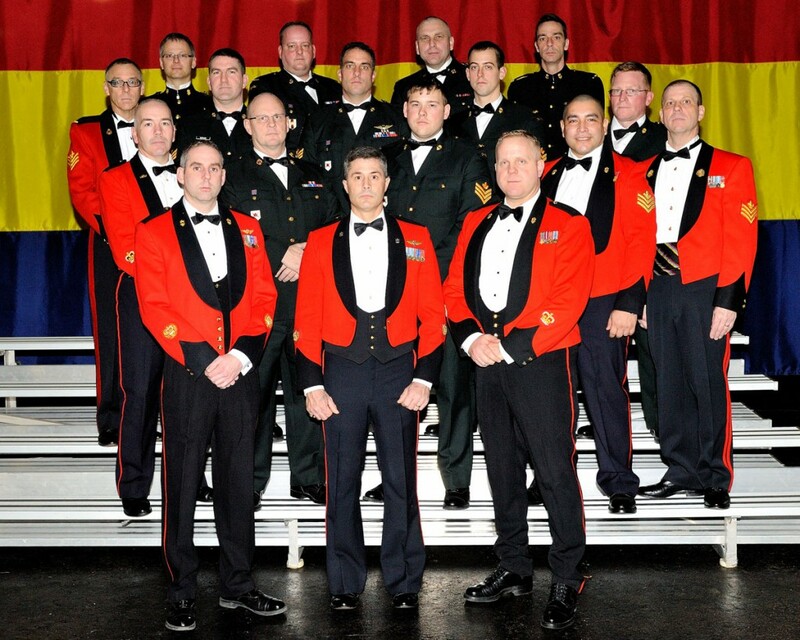 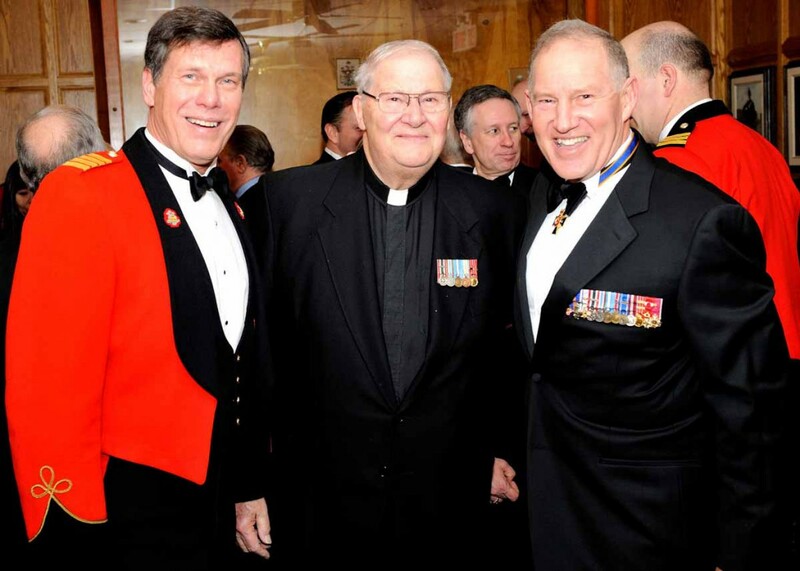 Brigadier-General Eric Tremblay, Commandant RMC and Chief Warrant Officer M.R. 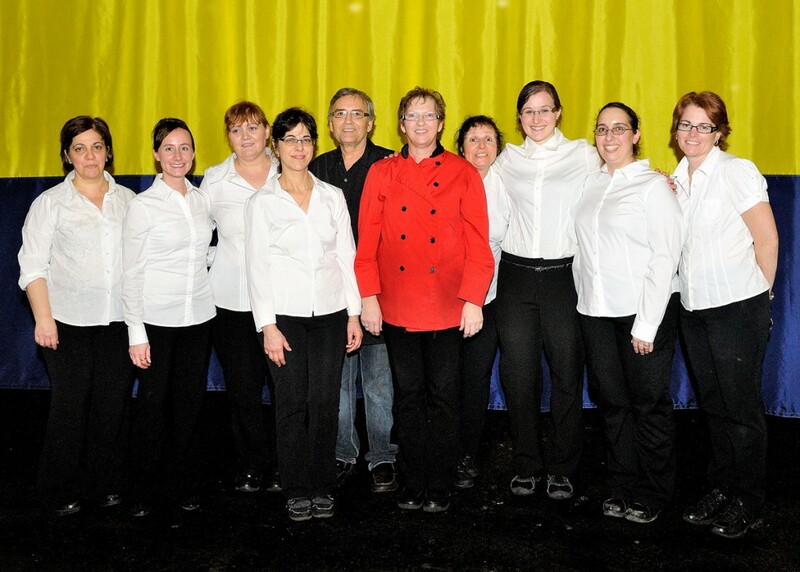 Hornbrook. 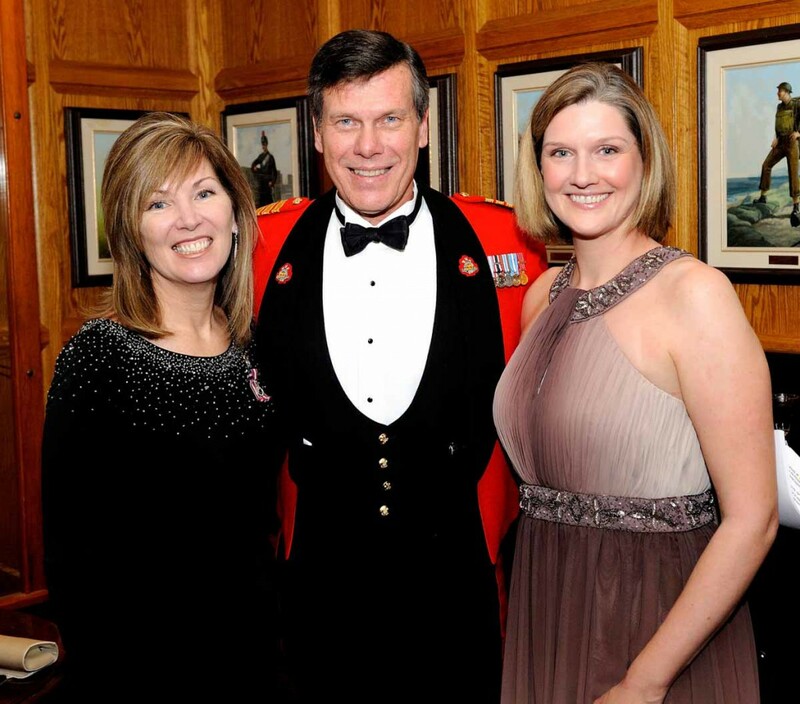 Chief Warrant Officer K.D. 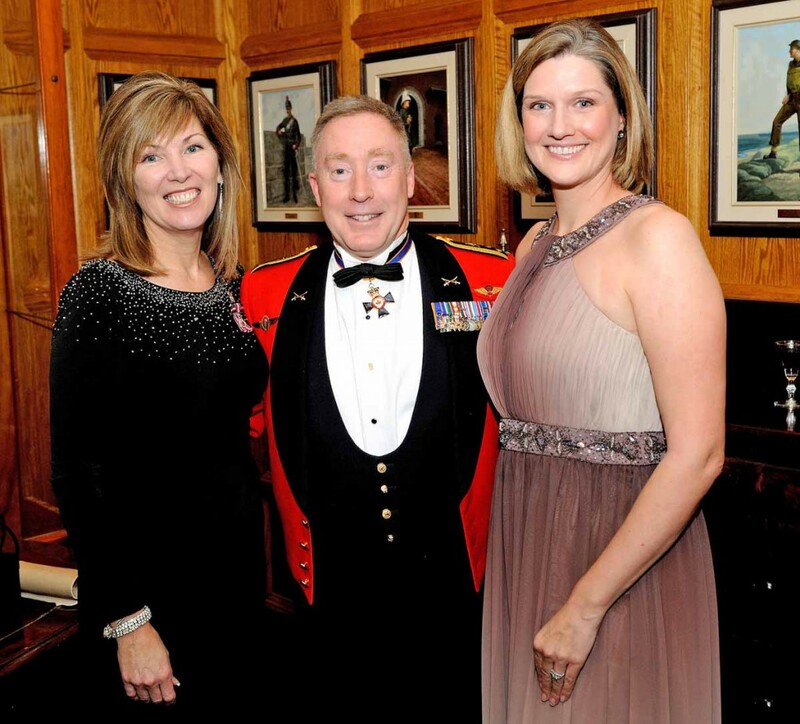 Clapham, CD and Chief Warrant Officer Mitch Hepburn. 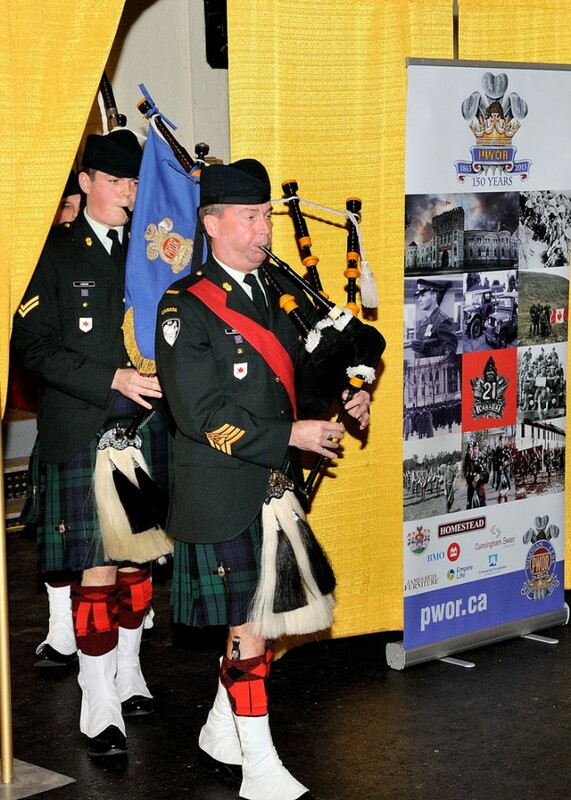 Regimental Pipes and Drums. 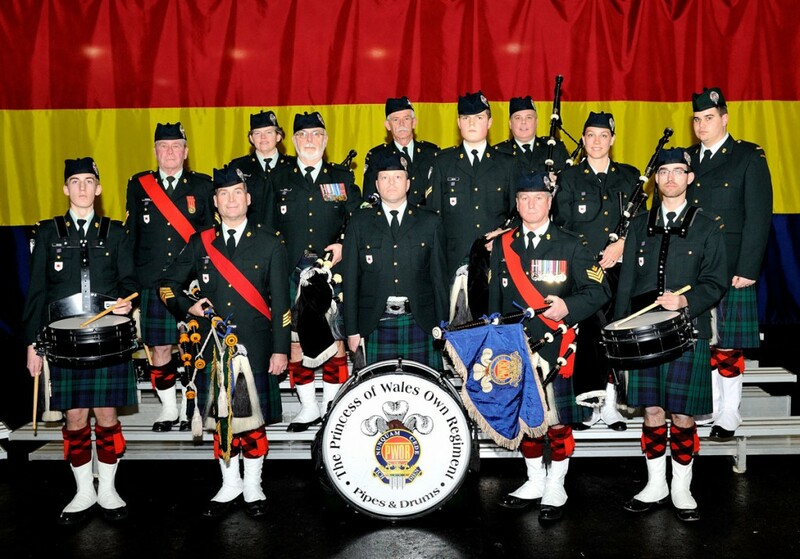 First row: Keenan Weaver, Pipe Major Mike Weaver, Ivan McQuillan, Pipe Sergeant Gary McCurdie, Martyn Piper. 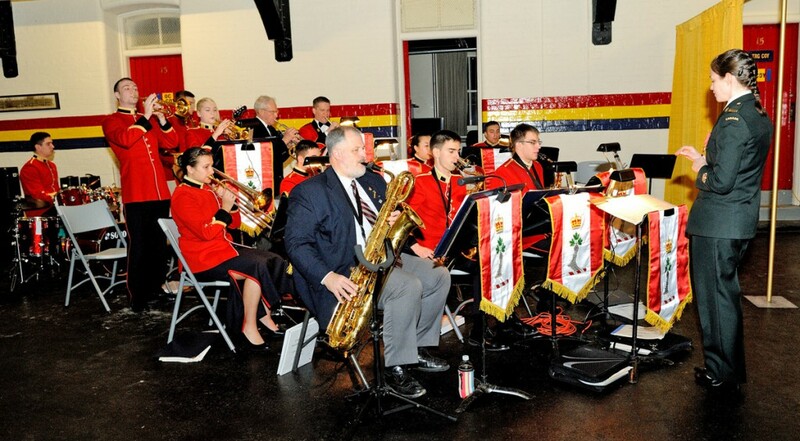 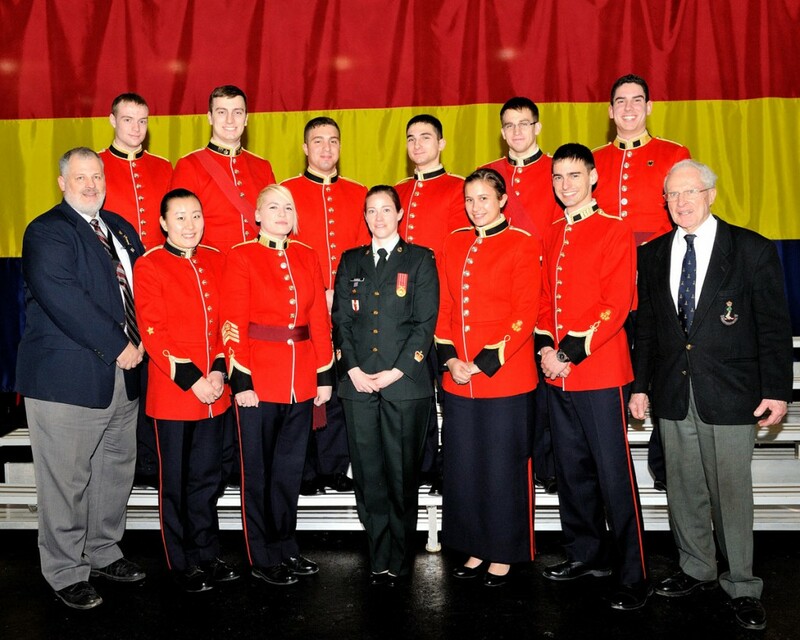 Second row: Drum Sergeant Dave Vrooman, Heather Bardell, Doug Green, Paul Thompson, Brendan Hogan, Mike Muntain, Laura Geier-Ennis, Dave McGrath. 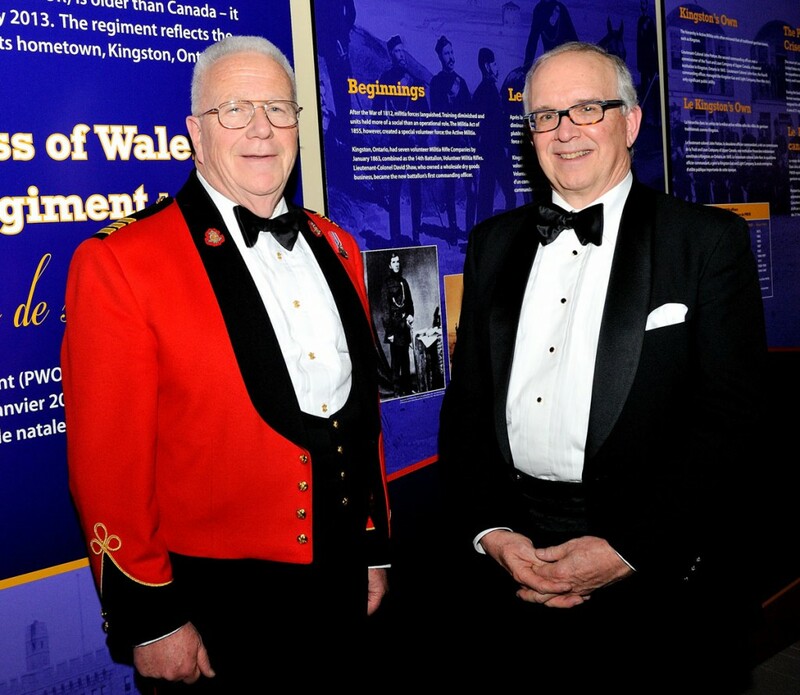 Lieutenant Davey and Lieutenant-Colonel James R. McKay. 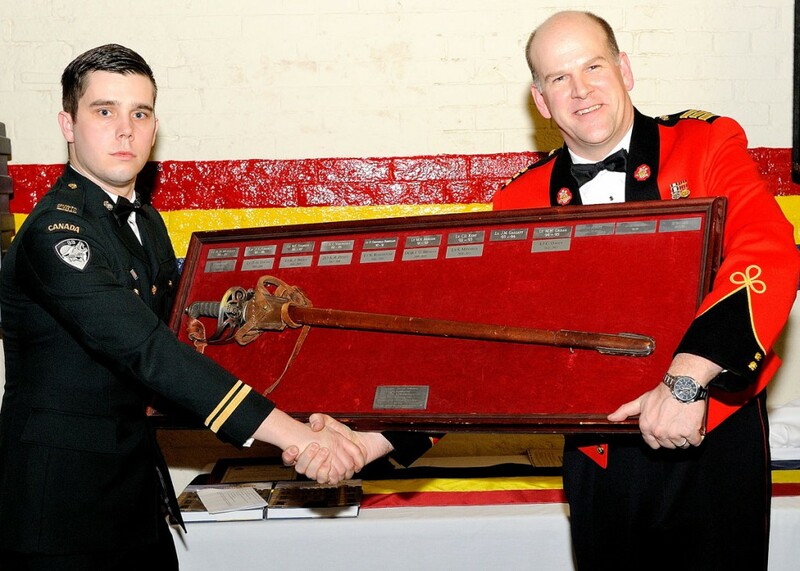 Lt Davey receiving the Subaltern Sword for Outstanding Junior Officer. 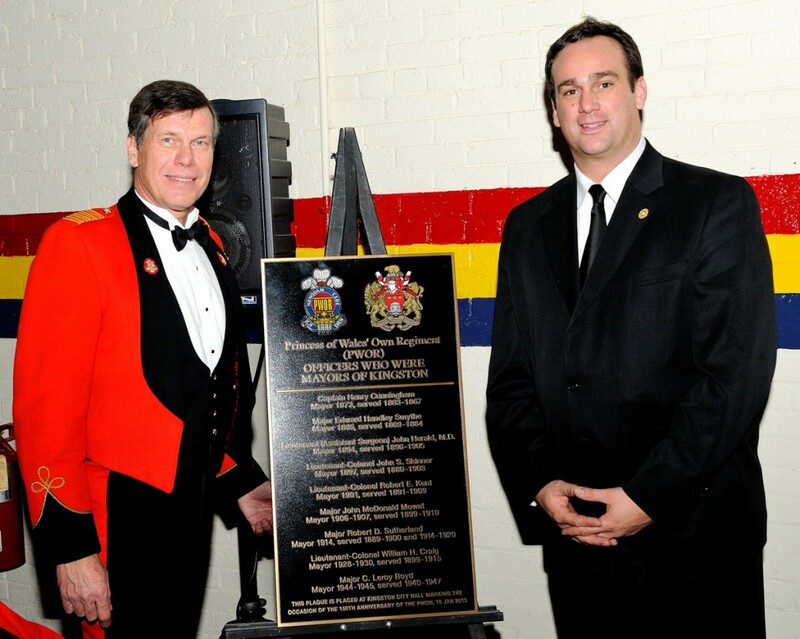 Brigadier-General Julian C. Chapman, Deputy-Commander, Land Force Central Area and Captain Dave Lucas. 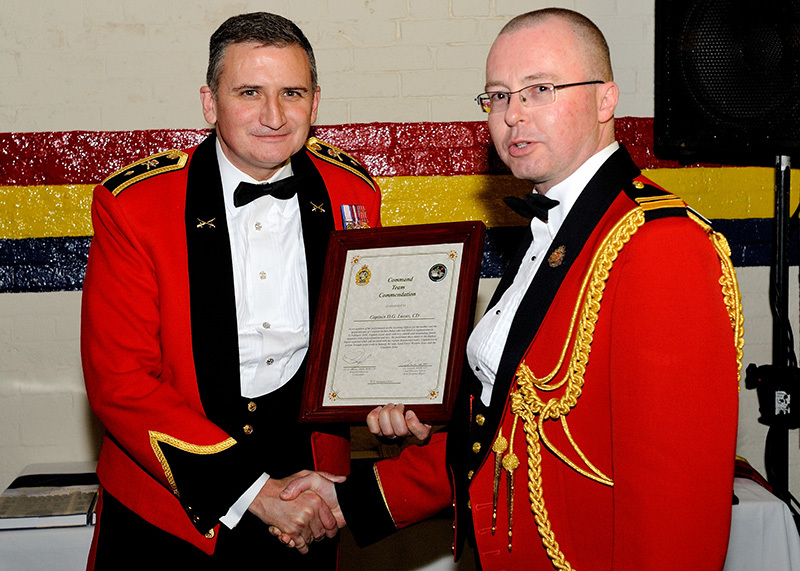 Capt Lucas was awarded the LFWA Command Team Commendation. 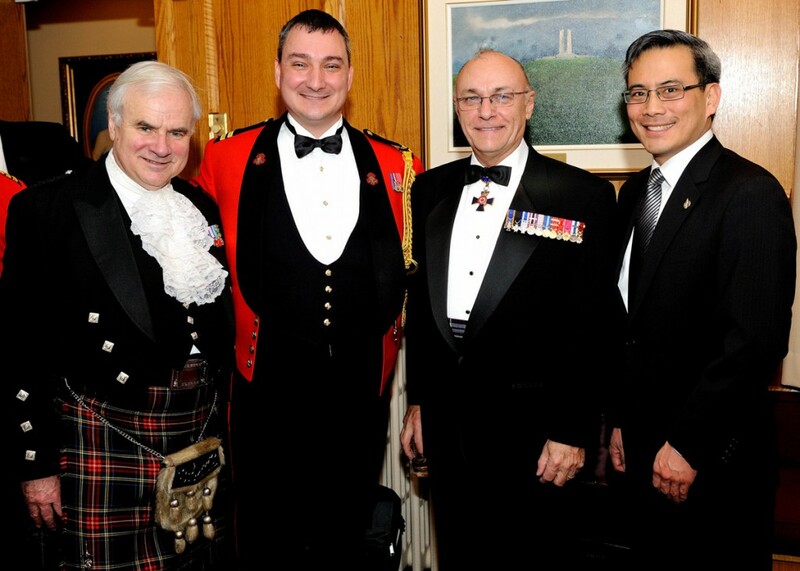 Lieutenant General Peter Devlin, Commander of the Army/ Doctor Ted Hsu, M.P.